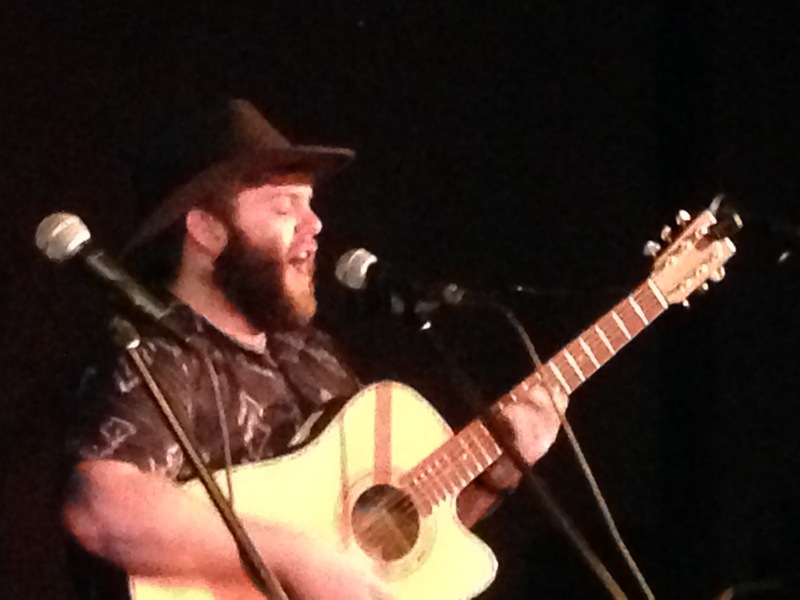 Jack Monopoli kicked off the gig with a rather stunning acoustic solo spot.Being the organiser of the gig he could have put himself anywhere on the bill but chose to go on first. This guy has talent. He is a very fine guitarist and a passionate and expressive vocalist. Mainly doing self penned tunes but also throwing in a rather nice acoustic version of King of the Swingers. Next up was singer songwriter Connie Gordon. 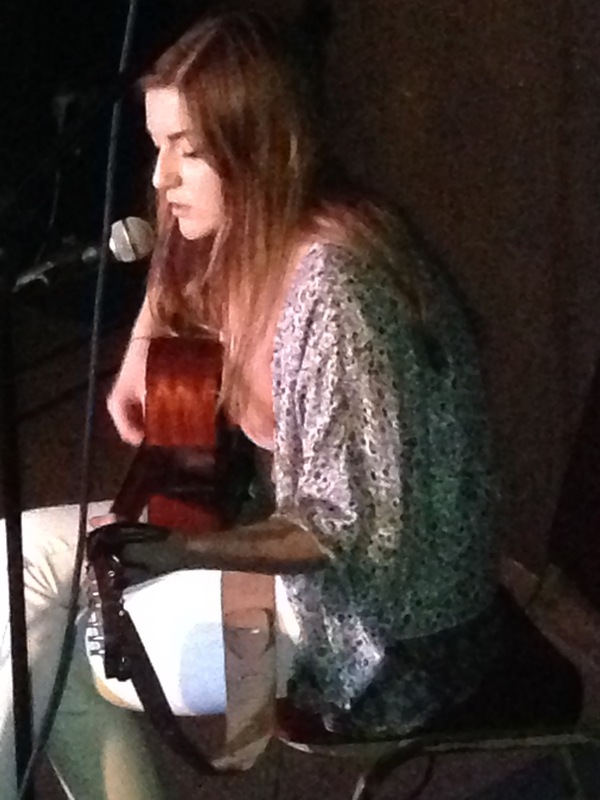 Simple guitar playing lovingly complemented by her wonderful voice held the audiences attention throughout. Her vocals sounded wonderful echoing through the theatre, partly thanks to the sound engineering skills of a certain Mr Tyler Massey. Oh and apparently he is Cilla Blacks great nephew. 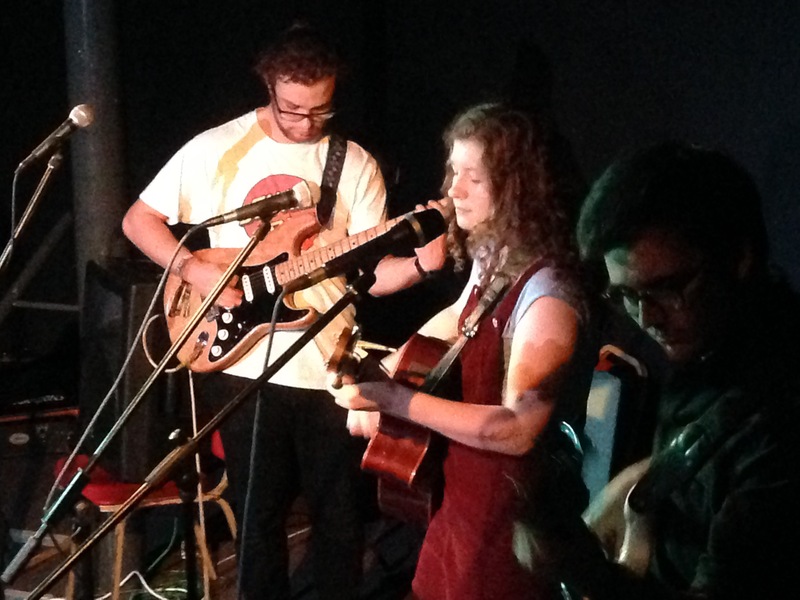 Previously on this blog I mentioned a girl called Eva who played the Lazy Sunday a couple of weeks back. Well tonight we were treated by the full band, The Blue Dive. Three piece of vocals / guitar, bass and guitar. Some rather nice sounds coming from the band with subtle lead guitar and complimentary bass delicately backing up the distinctly sublime vocals and rhythmic acoustic guitar up front. Headliners Fallen Branches, a brand new lineup bought a touch of Americana to the night. 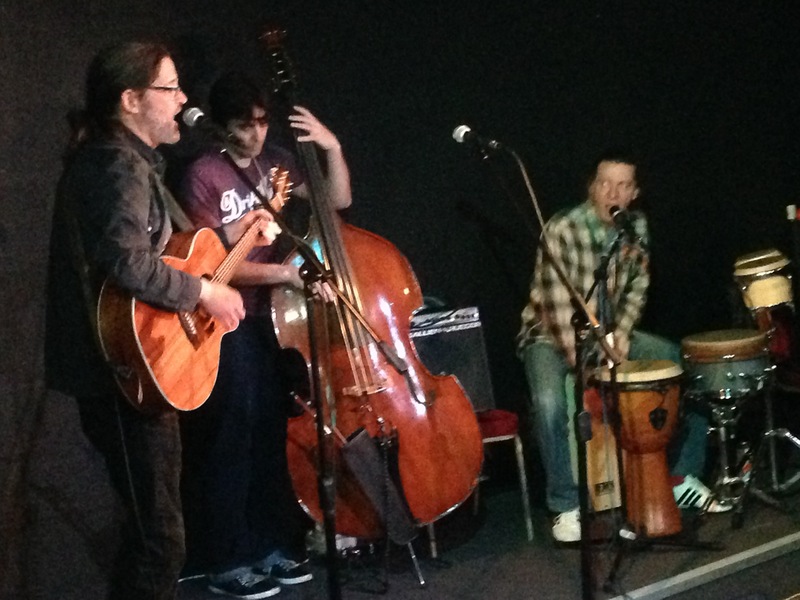 Three seasoned and talented musicians with whole heap of great tunes … and only 24 hours as a band to rehearse together. Upbeat numbers like Highway 61 ran alongside the more mellower Fumbling With the Blues (A Tom Waits track) and Everybody Gotto Learn and Magnets (or was it Maggots? – I really should have asked the band). Add to the mix some damn catchy numbers like Dirty Little Secret and Come On Over to the House (another by Tom Waits) and you have a highly enjoyable set… somehow made even more enjoyable when the band threw in a number that the bass player didn’t even know and could only play along when Tyler (guitar/vocals) told him the notes. disclaimer – sorry about the crap photos. I’d left my decent camera at home.